John Eliot Gardiner, Gluck, Iphigenie En Aulide, La Rencontre Imprevue, Don Juan. Классическая музыка. 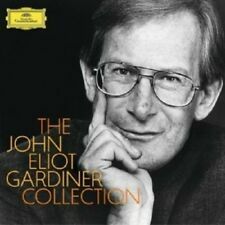 Купить "John Eliot Gardiner. Gluck. Iphigenie En Aulide / La Rencontre Imprevue / Don Juan (4 CD)"
Buy It Now for only: US 3 864,98 руб. Buy It Now for only: US 1 244,67 руб. Buy It Now for only: US 1 186,73 руб. Buy It Now for only: US 7 060,68 руб. Buy It Now for only: US 2 804,23 руб.